Catherine is a micro business owner, business mentor and founder of The Thousandaire Club. Being a Thousandaire is aspiring to, working towards or having achieved the micro business nirvana of solely working ‘on’ your business. Catherine’s passion for sharing and rejoicing in the success of others led her to establish The Thousandaire Club to enable other micro business owners to ask questions and share their successes, tips and strategies relating to their own journey to becoming a Thousandaire. When you start a business, you tend to make decisions by following your nose. You take the advice of the last person you spoke to, you follow courses of action that seem like the most interesting, and you most likely live from hand to mouth. While you’re finding your business feet, that’s fine. However, sooner or later you have to move into a way of running your business that is actually a bit more – well – businesslike. I’ve discovered that it’s almost impossible to run a serious, profitable business without Key Performance Indicators (KPIs) and, if you’ve been in business for more than a year or two and you don’t have these, the chances are you’re artificially keeping yourself and your business in the ‘start-up’ phase. KPI provides a snapshot of what your business will look like, in terms of hard figures, when you achieve your current vision. Once this vision is boiled down into specific, reachable goals and next steps, they are fed into your KPI dashboard, where you can track them and monitor what’s going on. You need a mixture of both ‘lag’ and ‘lead’ indicators – that is, the results you’ve already achieved, and the figures that represent your forecasts or predictions. In other words, you know where you’re going, and you know how much progress you’ve made towards that destination. For example, KPIs for your profit margin, cash flow, and maybe measurements like customer satisfaction rates, or staff performance. 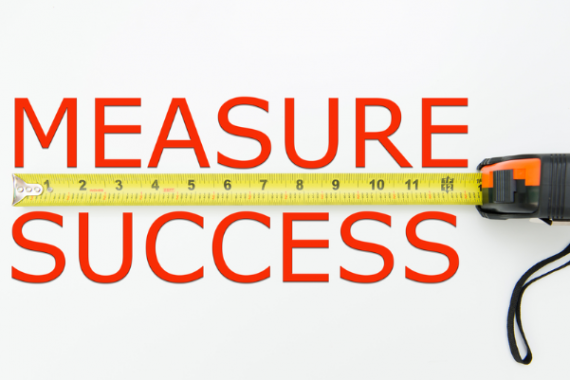 The performance indicators you choose to measure should be those that indicate the results you’re looking for – that is, they are ‘key’. They can be represented by graphs, spreadsheets, or pie charts. If they’re going to be made public in some way, you can use percentages rather than pounds and pence, to preserve confidentiality. If running a KPI dashboard sounds like something only huge, corporate businesses might do, don’t be fooled. Whatever the size of your business, you need to have your finger on its pulse. Your KPIs could cover one side of a sheet of A4 paper – they’re still an invaluable part of your business success. Or to put it another way, when you’re running a business, you need to define where you’re going, plan how you’re going to get there, track your progress and report back to yourself on how it’s going.